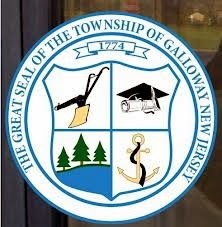 Galloway Township is seeking Request for Proposals / Qualifications for Municipal Professionals for 2015. Proposals must be submitted to Acting Township Clerk Kelli Danieli no later than Wednesday, December 17, 2014 at 11:00AM prevailing time, according to the RFP Packet. A CD shall be submitted in a sealed envelope and must be marked with the "Name of Position" being sought. Fax proposals will NOT be accepted, according to the RFP Packet. The RFP Packet is listed below as released by the Township of their Official Website. That's a lot of big dollar jobs pushed on taxpayers ???? never ending .